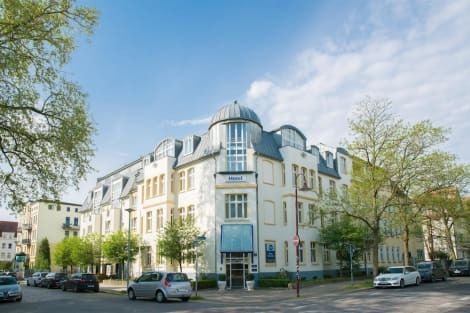 Located in Magdeburg, Classik Hotel Magdeburg is connected to a shopping center, within a 15-minute drive of Elbauen Park Magdeburg and Gruson Gewaechshaeuser. 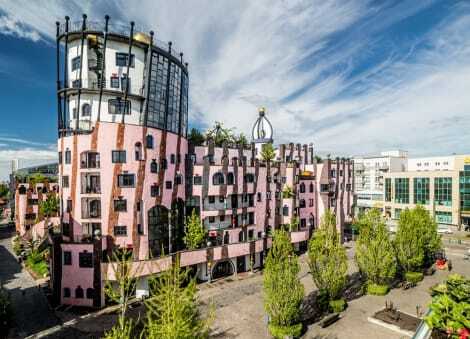 This hotel is 4.5 mi (7.3 km) from Cathedral of Magdeburg and 4.7 mi (7.6 km) from Monatery of Our Lady. Featured amenities include a business center, express check-in, and express check-out. Planning an event in Magdeburg? This hotel has facilities measuring 2519 square feet (234 square meters), including conference space. Self parking (subject to charges) is available onsite. Satisfy your appetite for dinner at La Cocagna, a restaurant which specializes in Mediterranean cuisine, or stay in and take advantage of the room service (during limited hours). A complimentary buffet breakfast is served daily from 6:30 AM to 10 AM. Featured amenities include express check-in, complimentary newspapers in the lobby, and dry cleaning/laundry services. Planning an event in Magdeburg? This hotel features 8794 square feet (817 square meters) of event facilities. RV/bus/truck parking is available onsite. With a stay at artHotel Magdeburg in Magdeburg, you'll be just steps from Magdeburg Parliament and Green Citadel of Magdeburg. 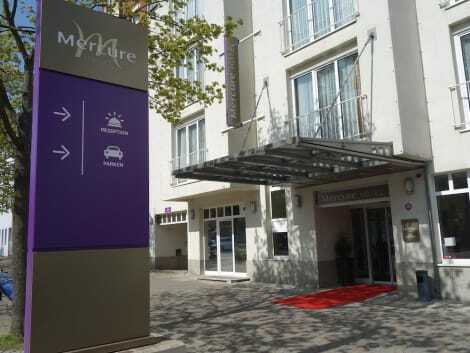 This hotel is 0.3 mi (0.5 km) from Monatery of Our Lady and 0.5 mi (0.9 km) from Cathedral of Magdeburg. Pamper yourself with onsite massages, body treatments, and facials. You can take advantage of recreational amenities such as an indoor pool, a spa tub, and a sauna. This hotel also features complimentary wireless Internet access and a banquet hall. Enjoy a meal at Sinfonie, or stay in and take advantage of the hotel's room service (during limited hours). Wrap up your day with a drink at the bar/lounge. Buffet breakfasts are available daily from 6:30 AM to 10:30 AM for a fee. lastminute.com has a fantastic range of hotels in Magdeburg, with everything from cheap hotels to luxurious five star accommodation available. We like to live up to our last minute name so remember you can book any one of our excellent Magdeburg hotels up until midnight and stay the same night.